VANCOUVER — A growing number of British Columbians want electric cars, but there’s one big problem: most B.C. dealerships still don’t have a single one on the lot. 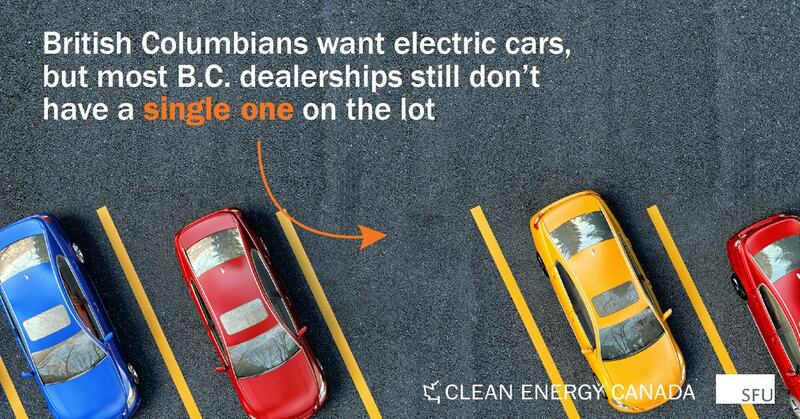 As local supply struggles to meet demand, British Columbians often can’t find EVs to test drive, while others are left waiting months to get their hands on a new model. Most dealerships said the wait time to get an electric car would be three months to a year—with some citing wait times of up to 18 months. 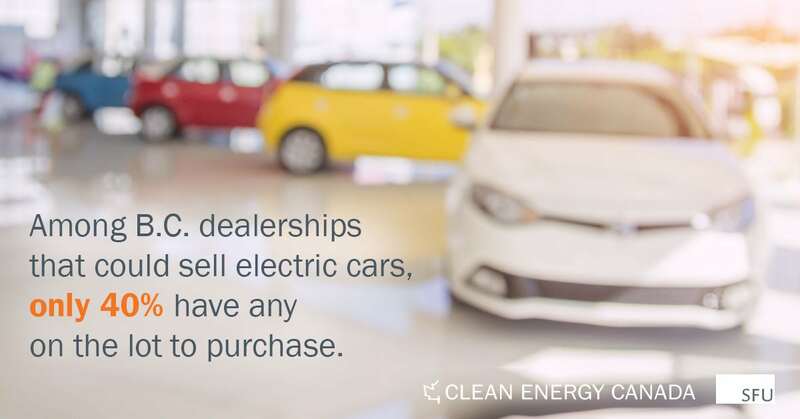 Fewer than one in five of them could refer us to an alternative dealership with available EVs. 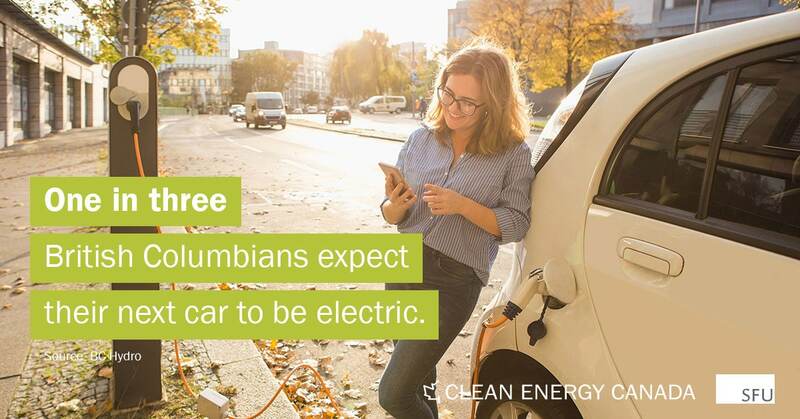 Coming off a weekend that saw record-high gas prices in Metro Vancouver, it’s clear that many more British Columbians will be looking to go electric. Such a policy would help automakers keep up with demand in B.C. 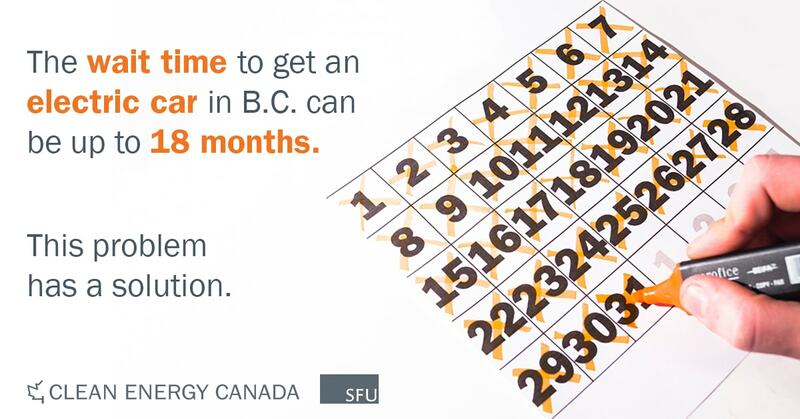 To learn more about B.C.’s electric car supply crunch, read our latest report, Batteries Not Included. Our research found that most B.C. 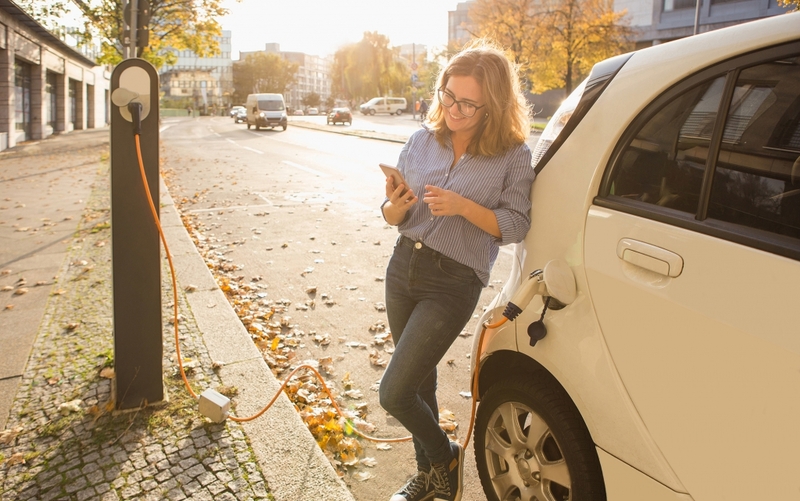 dealerships knew about the provincial rebate program (66%), but far fewer were aware of the household charger rebate (28%), which lowers the cost of installing a home charger. EVs represented 6.2% of new car sales in California in the first half of 2018 compared to just 3.5% in B.C. One in three British Columbians expect their next car to be an EV, according to BC Hydro. 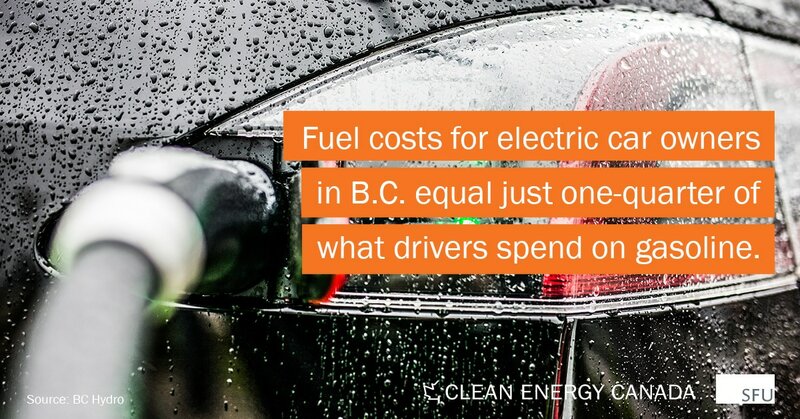 That same report found that fuel costs for electric car owners in B.C. equalled just one-quarter of what drivers spend on gasoline. 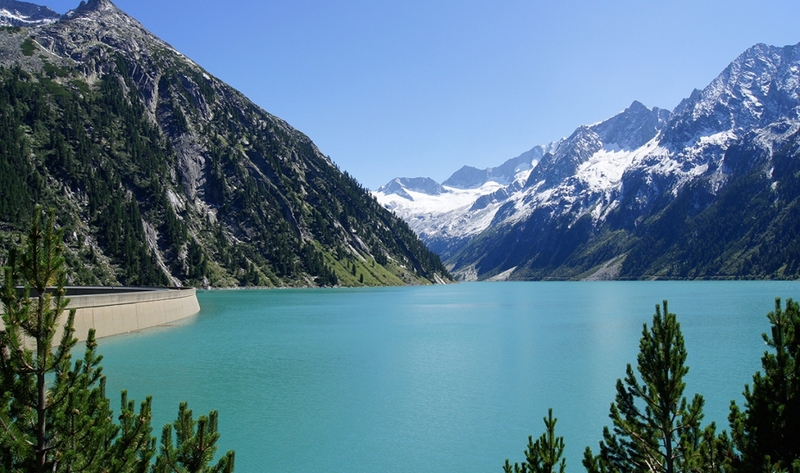 While a slim majority of dealerships in the Lower Mainland have EVs (54%), Northern B.C. is another story with just 7% having cars on their lots to buy. 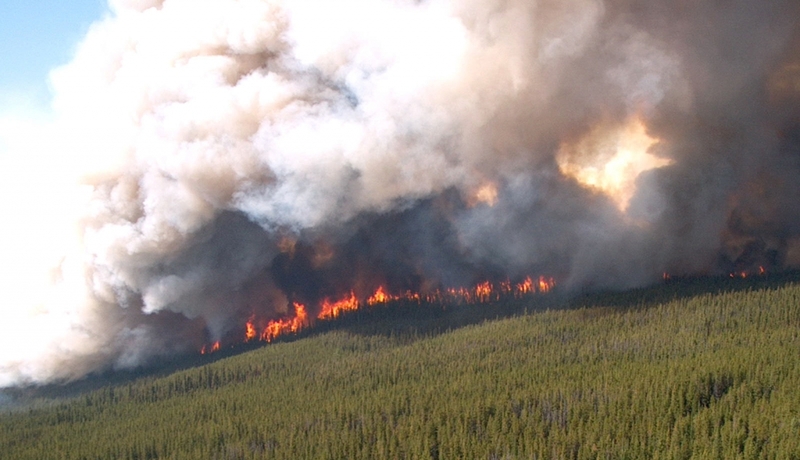 Interior B.C.—which includes the Okanagan—scored 27%. 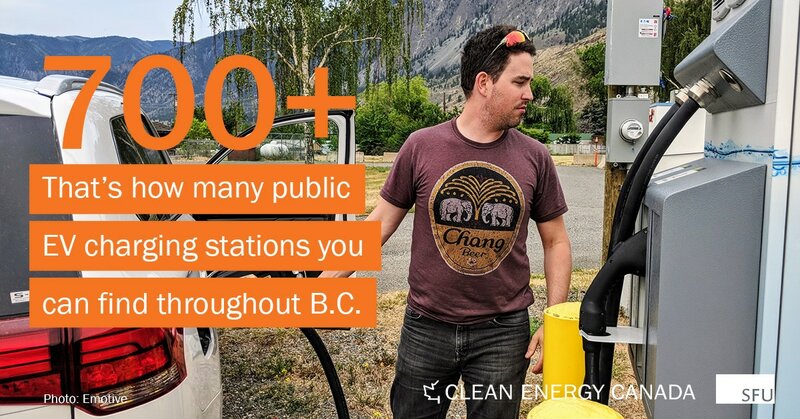 As for Vancouver Island and the Sunshine Coast: 43% of the dealerships there have EVs. According to the International Energy Agency, Canada’s market share for EVs dropped from 9th place in 2016 to 11th place in 2017. The B.C. 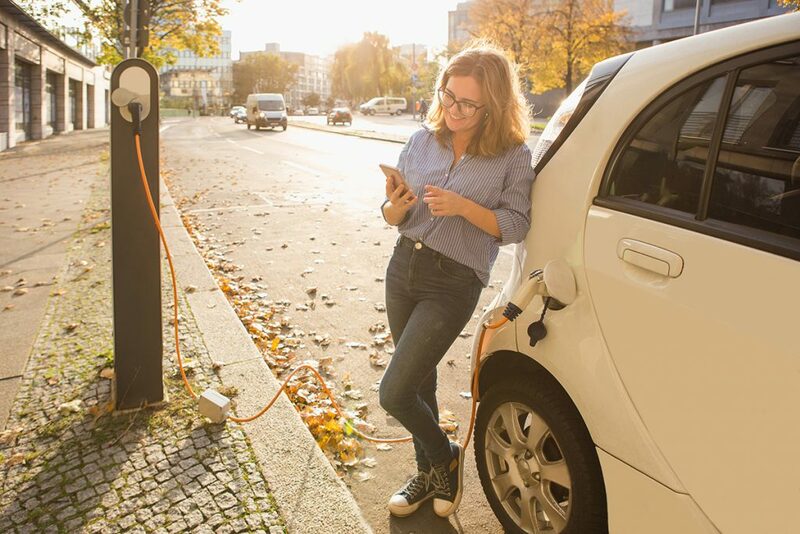 government is currently considering adopting a zero-emission vehicle mandate, both to help the province meet its 2030 climate target and to achieve its goal of having EVs meet 5% of new vehicle sales in 2020, 20% by 2025, and 30% by 2030.